I learned a new word today ... well two words really. "Campaign furniture is designed to be folded up, packed, and carried on the march. It has been used by traveling armies since at least the time of Julius Caesar. With the rise and expansion of the British Empire in the eighteenth and early 19th centuries British furniture makers produced for both military and business travelers. British officers of high social position in the Georgian and Victorian periods (1714–1901) often carried high quality portable furniture." 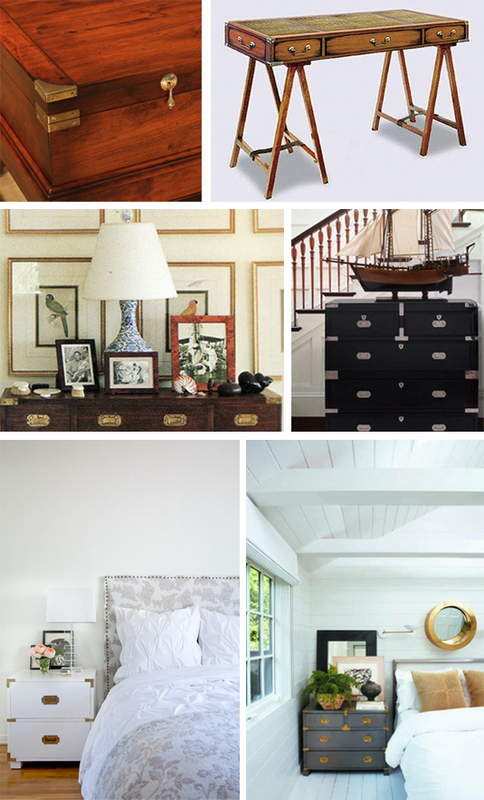 Campaign furniture is typically constructed in durable teak or mahogany with brass pulls. When polished the masculine style looks rich and well traveled. Paint the aged wood in a lacquered, pastel finish and the resultant piece really sings. Makes a girl want to take a voyage! A Chuck Hughes Recipe... Need I Say More? If you are not familiar with this French Canadian chef (yes he has a French accent) you are truly missing out. Star of the Cooking Channel show Chuck's Day Off, he is a full time chef whose true passion is cooking for others. 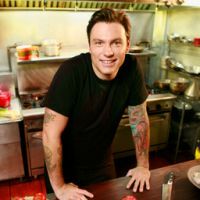 The premise of the show is on Chuck's one day off a week he cooks in his small restaurant's kitchen for his family, friends, staff, vendors, or anyone who has truly inspires him. His laid back attitude, passion for food, and quirky sense of humor make it entertaining and informative. Not to mention he's not that bad to look at! Wink! Enough about Chuck. 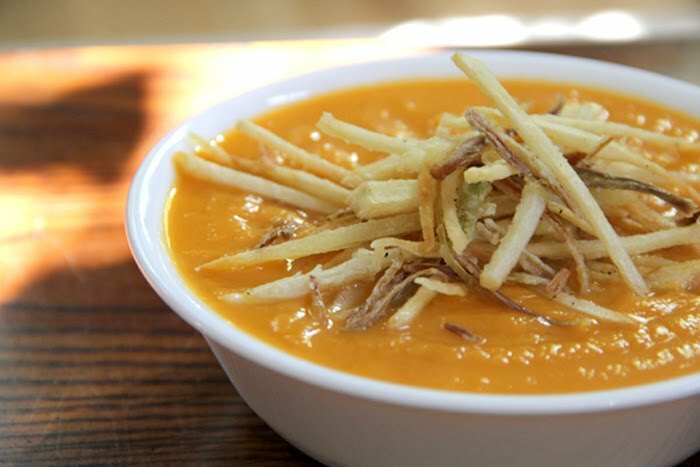 This post is really about the super simple Sweet Potato Soup. I followed Chuck's recipe almost exactly. I added an extra leek and didn't use fresh ginger but the results were still good. The soup is thick and satisfying. Great for a fall afternoon. I even tackled Chuck's yummy matchstick potatoes and leek garnish. Those are so good and can be made as a garnish for anything. I couldn't stop munching on them! Click Here to check out the recipe and while you are at it, check out a few more recipes! Found a new tumblr blog the other day that I thought I'd share. 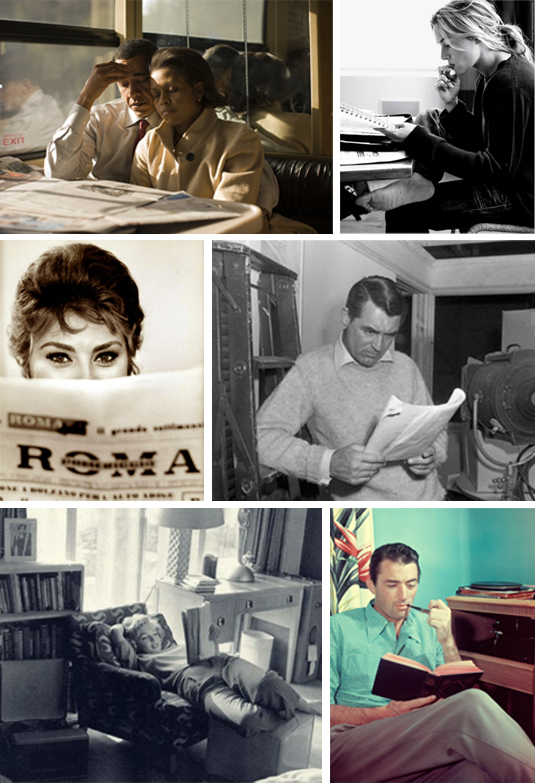 Entitled Awesome People Reading, it features photos, both old and new, of famous folks cracking open a good book. Much cooler than the giant Bill Cosby READING poster in the public library.